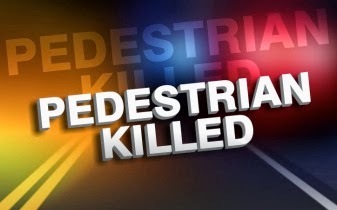 The Absecon Police Department responded to a fatal motor vehicle crash that occurred Sunday, May 4, 2014 at 6:48pm on US Rt. 30 in the area of Haddon Ave. The department is investigating a single motor vehicle crash where it appears a pedestrian ran in front of traffic in an attempt to cross the roadway and was struck. The deceased, a fifty-seven year old male from Atlantic City, was pronounced dead on scene. The eighteen year old driver from Galloway Twp. was transported by Absecon EMS to the Atlanticare Regional Medical Center- Mainland Campus for treatment. White Horse Pike eastbound traffic was closed for approximately two hours. On scene the police department was assisted by the Absecon Fire Dept. The Galloway Police Department, New Jersey State Dept. of Transportation, and the Absecon Fire Dept. also assisted with traffic control. The incident is being investigated by Ptl. Christian F. Cavileer.